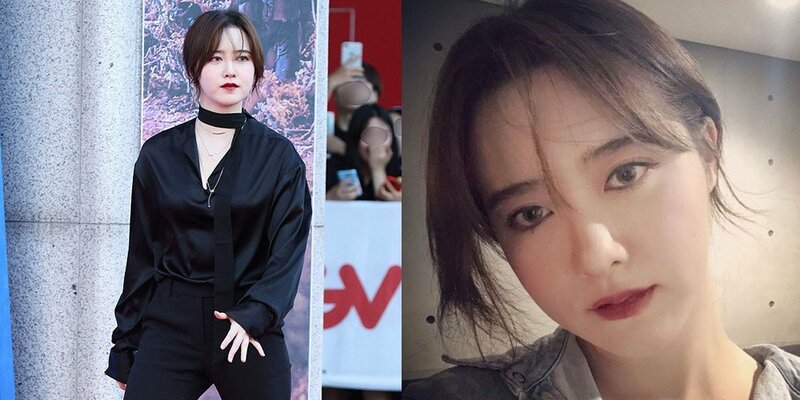 Actress Goo Hye Sun shut down rumors of pregnancy and cosmetic surgery with a few brief words on Instagram. Back on July 12, Goo Hye Sun attended a red carpet event for the '2018 Bucheon International Fantastic Film Festival (BIFAN)', dressed in all-black with a sharp, vampire-style makeup look. Netizens commented about her appearance, "She looks pretty, but there's something different about her...", "I feel like her old face is gone", "What did she change? ", etc. In response a few hours later, Goo Hye Sun shared a few simple selcas on Instagram and said, "I ate a lot of rice so I got fat. 10 kgs."
? ?? ??? ????. ???. And the next day after her "confession" post, Goo Hye Sun also shared some fresh, no-makeup selcas, proving that she's still a natural-born beauty.